Training & Placement department of BBSBEC invited Ms Himani Agarwal, a seasoned Management Professional into college for an interaction with the newly admitted 1st year students of varied branches on 28th July 2017. The renowned speaker delivered a session on “Conquering Your Fears by Exploring Self”. She had elucidated her own philosophy about life that there is no challenge insurmountable if worked hard enough for. She also motivated the students to explore new things in life and never settle until the goal is achieved. Students had listened her session very keenly and interacted with speaker on various topics related to their life. 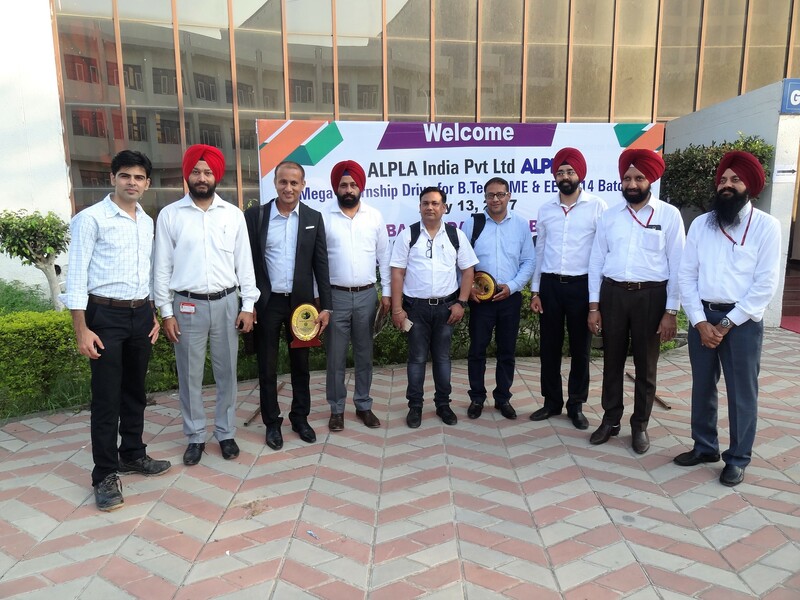 Baba Banda Singh Bahadur Engineering College has again placed itself in the pioneering position in providing quality placement opportunities to the students of Mechanical & Electrical Engineering by inviting ALPLA in the campus for 2018 passing out students. ALPLA is an Austrian leading international manufacturing company, largest in Europe for plastic packaging and provides their customers packaging solutions on highest level. The company has a total of 172 production plants in over 45 countries worldwide. The company delegation headed by Mr Surendra Babu, Vice President (HR & Admin) along with Mr Harwinder Singh, Business Head, Baddi unit interacted with students and briefed them about company and its operations in India and abroad. Mr Surendra Babu appreciated the college infrastructure, departmental labs and teaching learning facilities provided by the college to its budding engineers. A total of 109 students of Mechanical & Electrical Engg participated in this exclusive drive, and finally 34 students got selected for Silvassa, Hyderabad, Sitargunj and Baddi plants. On this occasion Dr. G. S. Lamba, Principal, said that college has emerged as a leader in placements and every year, the number of participating companies escalate giving students a wider range of opportunities to spring their career. 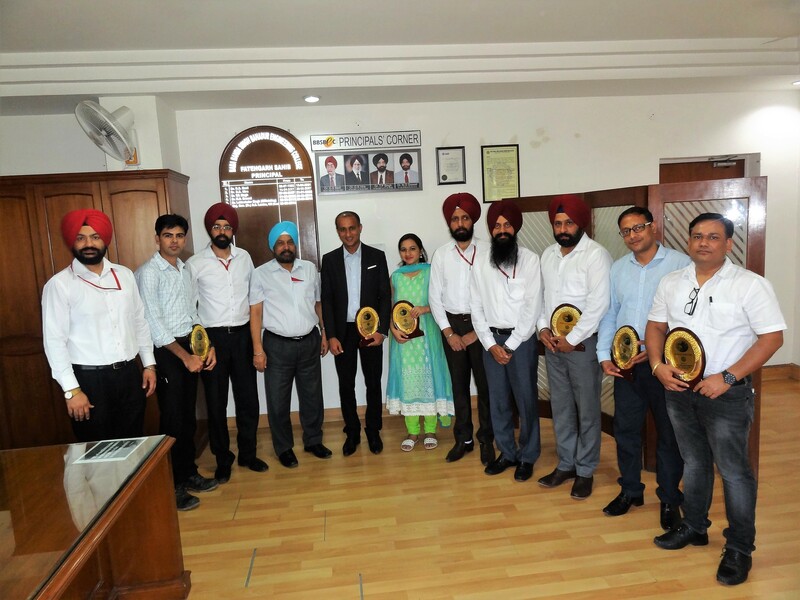 The college trust’s Secretary Dr. Paramjit Singh Saroya congratulated the students and department of Training & Placement, Mechanical and Electrical Engg. for the achievement, also thanked the ALPLA officials for providing the opportunity to the students. 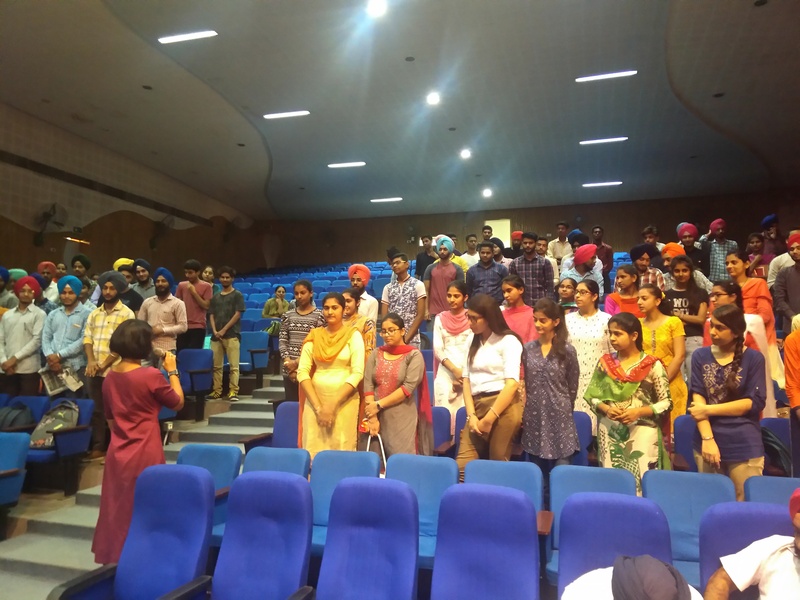 To inculcate the Presentation Skills among the BBSBEC students, T&P Cell invited Ms Harman Mangat, a famous management trainer with an experience of more than 11 years, conducted a workshop on Art of Presentation. She holds excellency in preparing and developing students for Job Interviews and Placements. The workshop was delivered on 10th March 2016. 2nd March 2016: A team from TCS ION visited the college to deliver the workshop on Android and Python 4th & 6th Sem students of CSE/IT and ECE were present for this workshop. 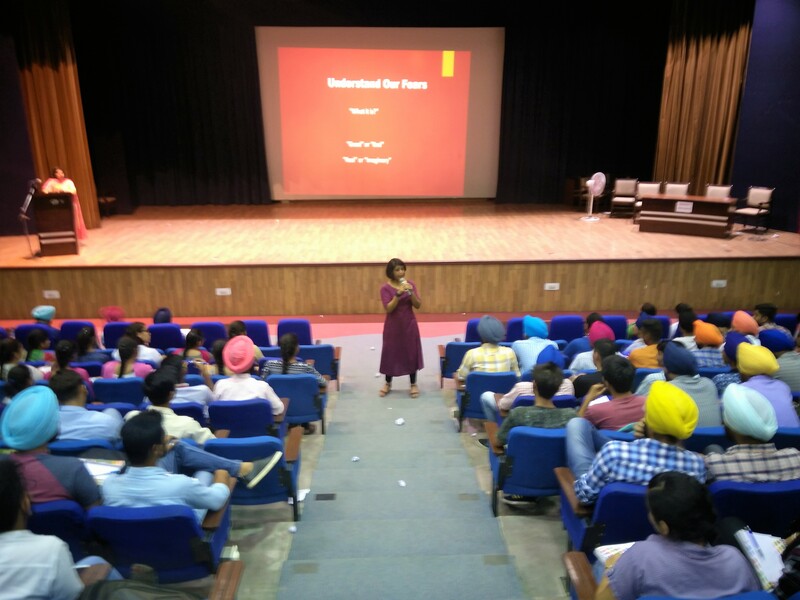 Ms Manpreet Kaur & Ms Trupti delivered the workshop. 3rd March 2016: Mr Vikram Grover, Head NYX India Operations and Alternate Director of NYX Software Design PVT Ltd visited BBSBEC to deliver the workshop for Mechanical Engg students of 4th & 6th Sem. Mr Grover shared various cost reduction strategies, multi-tasking and cross-functional techniques. He also briefed about thecost-effective manufacturing and tooling processes based on lean manufacturing. 3rd March 2016: Under Industry Academia Interaction Program Mr Japjit Singh Arora, Territory Sales Manager – Punjab from ACC Concrete, ACC Limited visited the BBSBEC campus to deliver an expert lecture for 4th & 6th semester students of Civil Engineering. Mr Jatinderpal Singh Manchanda, Guru Nanak Industrial Corp along with Ms Baljit Kaur Managing Director VMAD visited the college to mentor the 1st Year students. They effectively motivated the students about entrepreneurship setting their goals to achieve the excellence in their professional life. To develop the leadership qualities in the budding engineers BBSBEC invited Col Urvinder Singh, a top level leadership trainer in the college. He is having an experience of 30 years with Indian Army and United Nations. He is a passionate trainer, entrepreneur, a great story teller and a glass walker. The workshop was oriented towards leadership indulgences, what makes leaders unique and to demonstrate leadership qualities. The workshop was delivered on 3rd February 2016. Organized a motivational lecture by Dr Sohan Singh Chandel a renowned psychologist for the BBSBEC students. The students were enlightened about the Time Management and the importance of positive attitude. The lecture was delivered on 3rd February 2016.